Illegal and unreported fishing prejudices the managed recovery of the world’s oceans from severe fish depletions. It is reported to lead to a loss of many billions of dollars of annual economic benefits and has wider consequences for conservation and food supply. Estimating the level of illegal fishing is, by its very nature, extremely difficult and has not previously been attempted on a global scale. Fishing vessels, especially those fishing in high seas waters and under third party access agreements to EEZ waters, are highly mobile. 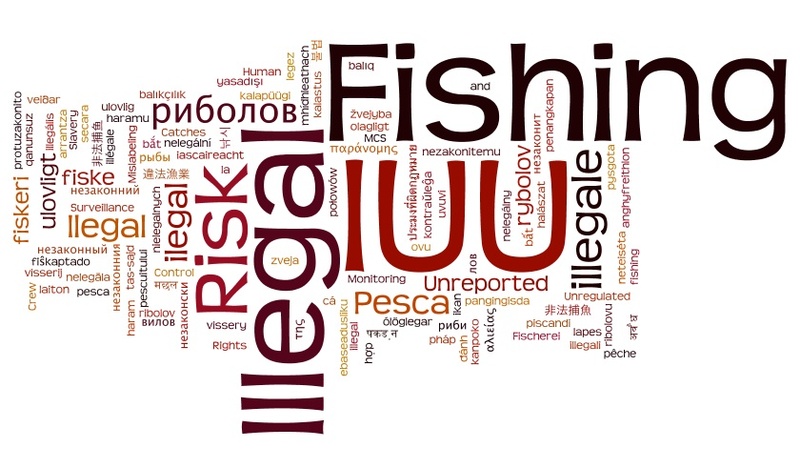 Although there are a number of studies of the level of IUU fishing in individual fisheries (both EEZs and high seas), in this work we have attempted, for the first time, a detailed study that can provide global estimates of current and historical illegal and unreported catches. 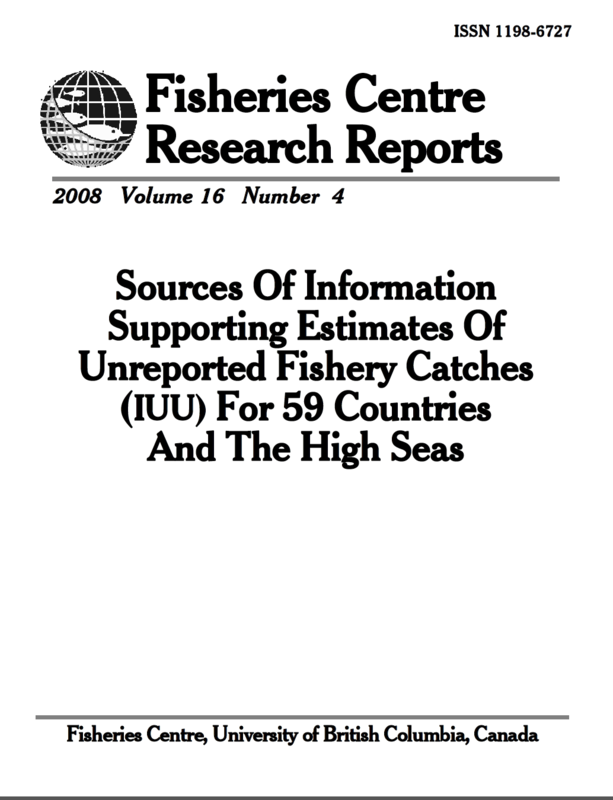 This Report documents source material used in assembling quantitative estimates of illegal fishery catches, unreported catches and discards used in a series of spreadsheet analyses as part of a global estimate of IUU fishing. The results, together with details of the methods used, are published in Agnew et al. (2009) and in Pitcher et al. (2009). High Seas material is based on information from six selected RFMOs, supplemented with notes on high seas activities from individual countries. 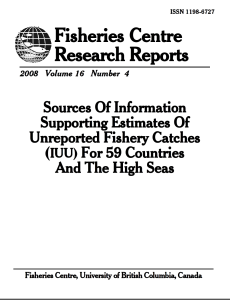 Information on individual countries is based on material extracted from previous country reports covering compliance with the FAO (UN) Code of Conduct for Responsible Fishing (Pitcher et al. 2006), supplemented with some additional and more recent notes. The 59 countries covered here amount to approximately the top 96% of the world fish catch.